Two weeks ago the Chief of General Staff Lieutenant General Aleš Opata presented the actual aims and priorities of development and modernization of the Czech Army. We will now present the detailed requirements as they appear in chosen chapters of the document „Modernization Projects of the Czech Army“, and come back to them later offering you opinions by Czech military experts to better explain the motivation of the Army to these specifications and no other. 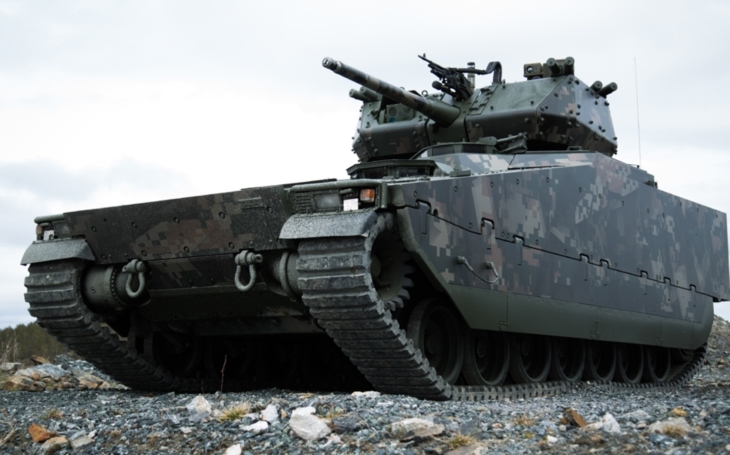 We would start with the most important acquisiton project, the most important by it’s estimated costs reaching CZK 53 billion (USD 2.37 billion): the purchase of 210 tracked Infantry Fighting Vehicles, chapter 3 of the General Staff’s document. 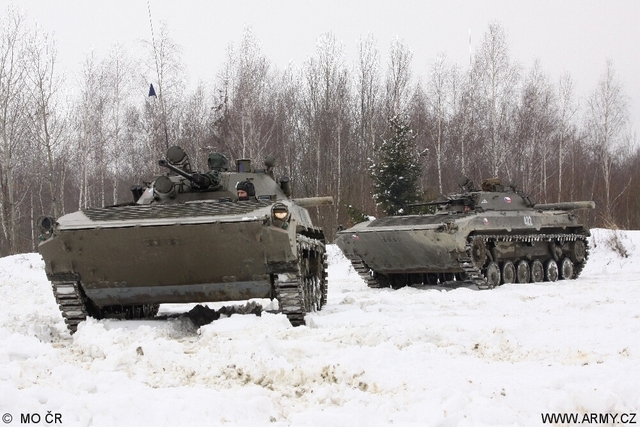 The Czech Army currently operates the soviet era BVP-2 (BMP-2 for боевая машина пехоты, Infantry fighting vehicle, marked as BVP-2 in Czech for „Bojové Vozidlo Pěchoty“), a a second-generation amphibious tracked infantry fighting vehicles (IFVs). In total there is 185 vehicles, 108 operated by different units (mainly the 7th Mechanised or „heavy“ Brigade) and 77 are stored. There are numerous tactical and technical issues which make this vehicle obsolete. It’s capability to conduct fire missions under reduced visibility is very limited. From a long-term point of view the vehicle cannot be deployed due to the lack of data transmission system, it cannot be subordinated to the operational and tactical system of command and control of ground forces, it lacks a fire-control system, and it offers only basic protection of the crew against anti-tank mine blast, improvised explosive devices (IEDs) and effects of fire systems and shell fragments. The ammunition used for the BVP-2 is not standardized within NATO. The vehicle is armed with a Shipunov 2A42, a Soviet/Russian 30 mm autocannon using a 30 x 165 mm cartridge, coupled with a 7.62mm PKT machine gun, and 9K111 Fagot, 9K111M Fagot-M or 9M113 Konkurz Anti-Tank Guided Missiles (ATGM). BVP-2 weights 14,3 tons, is 2,07 m height, it is operated by three crewmen and can transport up to seven soldiers. The BVP-2’s hull provides all-around protection from 7.62 mm armor piercing rounds at 30 meters, while the front can withstand several hits from 23 mm armor piercing shells. The IFV lacks the ability install add-on protection packages like slat armor cages or explosive reactive armor (ERA). Its maximum speed reaches 65 km/h on the road, 45 km/h off-road and 7 km/h in water. Sensor systems – day observation system (CCD camera), night observation system (IR camera), laser range finder for the weapon systems. Air-transportability by the C17H, Il-76MF, An 124 and A400M aircraft.